Embroidery is a classic method of garment decorations. Since the invention of automated embroidery machines, it has become irreplaceable type of decoration in in fashion, sports, and industry. 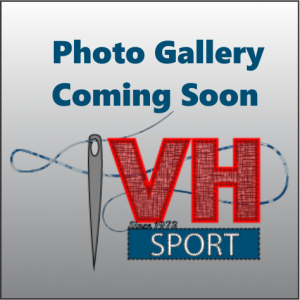 At VH Sport, we do all our own embroidery right here in our Genelle workshop. Our brand new embroidery machine gives spectacular results, and can tackle any project. We can customize: hats, backpacks, jackets, blankets, shirts, towels…the list goes on.